The American Kennel Club recognizes 30 different breeds of terriers in its terrier group, as well as a variety outside of the group. People often associate terriers with small dogs, however the fact is, terriers come in a range of sizes, sporting different coats. Large or small, terriers are descended from dogs specifically bred to hunt vermin. Their working heritage still shines through, often resulting in an intelligent, energetic dog. Though they aren't play toys, the terriers in the toy group are tiny dogs, often resembling little wind-up toys or stuffed animals. These diminutive dogs come in a variety of looks and in some cases are the result of careful crossbreeding to develop into the dogs they are today. The affenpinscher, which translates to "monkey terrier," originated in central Europe. The miniature pinscher has German roots, while the Yorkshire terrier has an English pedigree. 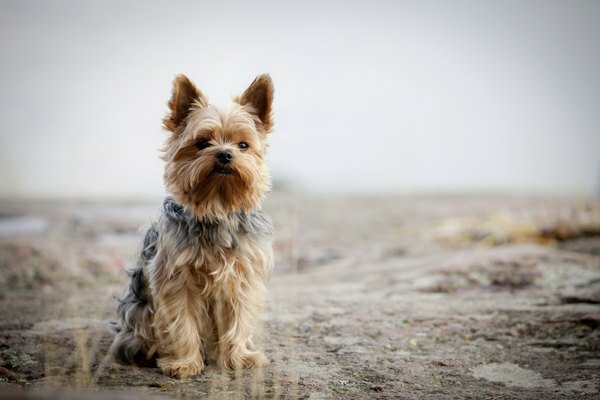 The silky terrier is often confused with the Yorkie, despite the fact he's larger than the Yorkie. 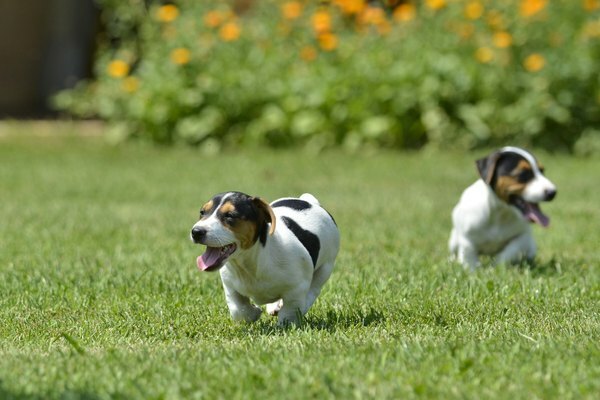 Both the Manchester and fox terriers are represented in both the AKC's toy and terrier groups. All of the toy terriers were developed to hunt rats and other vermin, though they don't have to work for their supper these days. Even at a large size, terriers don't tend to get very big. The largest of the terriers, the Airedale, stands 23 inches tall and weighs around 55 pounds. Unlike his tiny cousins, his resume includes more than rat patrol; the Airedale has worked as a wartime messenger and guard as well as hunted game and birds. The Kerry weighs about 15 or 20 pounds less, but is also versatile, performing herding duties as well as hunting and retrieving work. Weighing 35 to 40 pounds, the soft-coated wheaten terrier got his start as a farm dog, progressing to a hunting dog. The Irish terrier typically caps out around 27 pounds. His legs are longer than other terriers, which likely served him well when he was used as a messenger dog in World War I. A terrier's build often reflects his job; the smaller terriers are known for their ratting skills, allowing them to earn their keep. However, some terriers ventured beyond the barn. The Dandie Dinmont, a dog who has a lineage dating back more than 300 years, was accomplished at catching badgers and otters. The border terrier was popular in England for his willingness to force himself through narrow spaces to capture foxes. He seemed to be built for this job, as his legs were long enough to keep up with the horses, but his body was small enough to fit into foxholes. Though the Bedlington terrier hunted rodents, his lithe body made him a favorite racing dog in the 1800s. 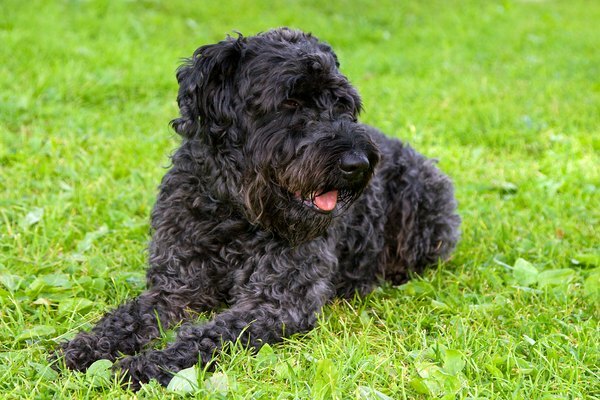 Generally, terriers have pretty low-maintenance coats, requiring weekly brushing to remove dead hair; wire-haired terriers may need to be groomed two or three times a week. 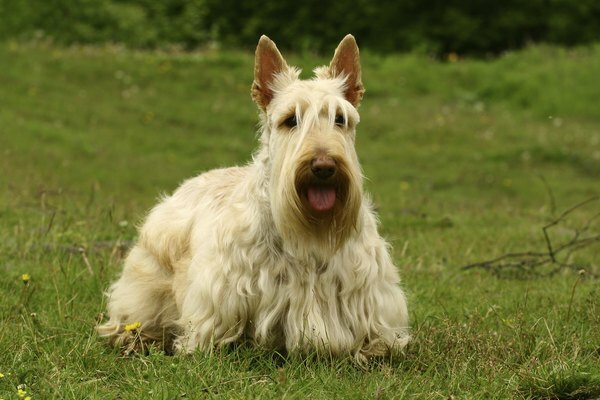 Terriers with a wire-haired finish include the wire-haired fox terrier, Scottish terrier, Australian terrier and Cairn terrier. As his name indicates, the smooth fox terrier has a smooth coat, as does the Manchester. The Parson Russell terrier can be smooth or rough coated. In the 19th century, some terriers weren't developed for hunting, but instead were bred for fighting. Older versions of bulldogs were crossbred with game terriers to develop powerful dogs able to withstand the rigors of a fight. 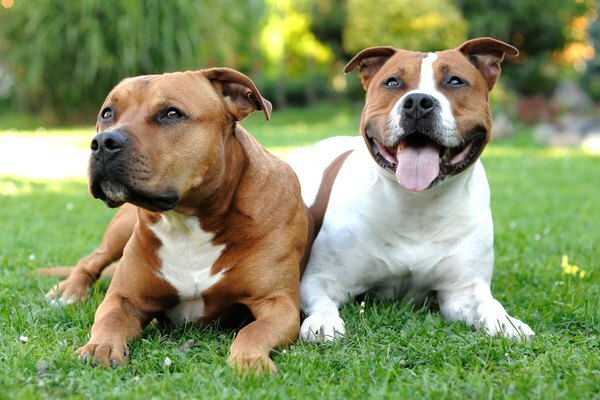 The Staffordshire bull terrier, American Staffordshire terrier and bull terrier are all part of the AKC's terrier group, and though they've developed a reputation as being frightening dogs, are often quite loving and docile.